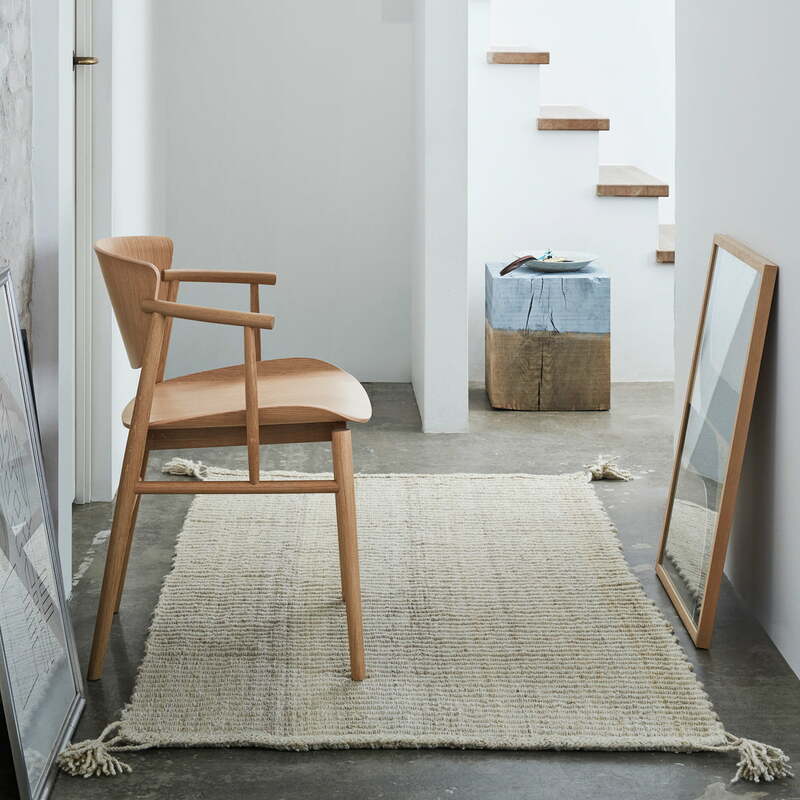 The N01 armchair was designed by the Japanese design studio Nendo, known for its timeless designs with that certain something. 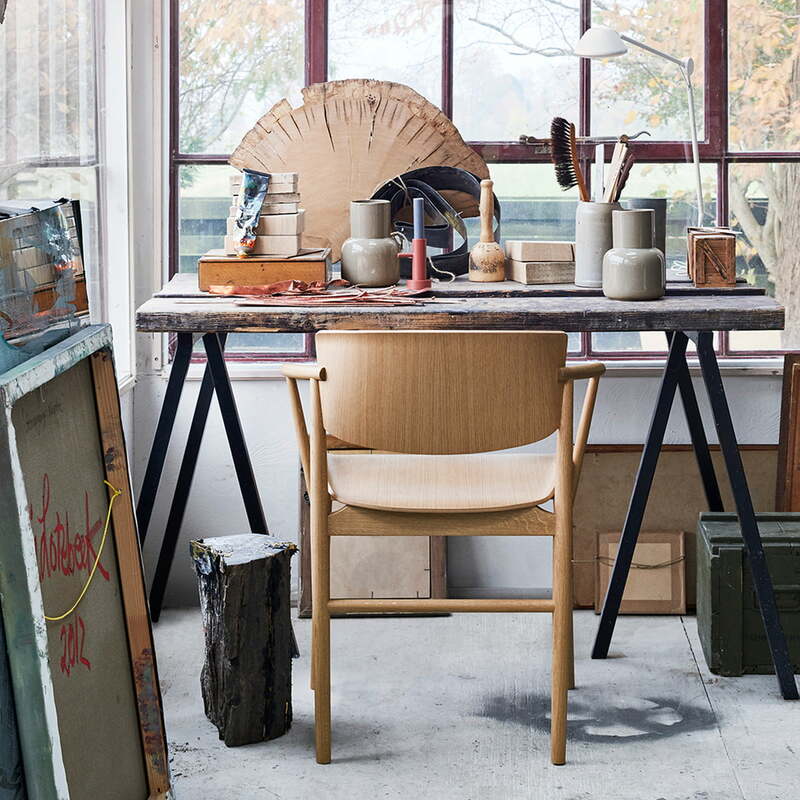 As a result, it perfectly harmonises with the design language of the Danish furniture company Fritz Hansen. 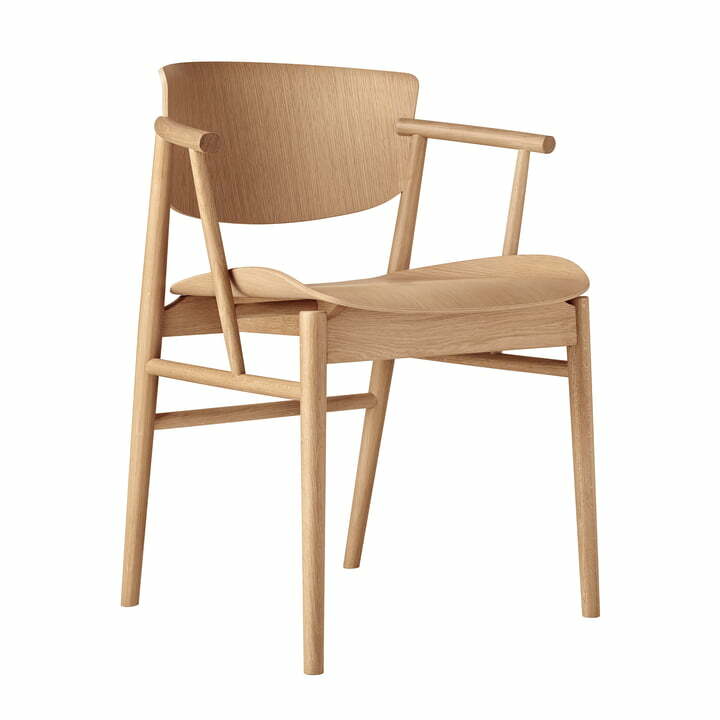 The seat and the backrest consist of seven layers of veneer, enabling the ergonomic curvature of the two elements. 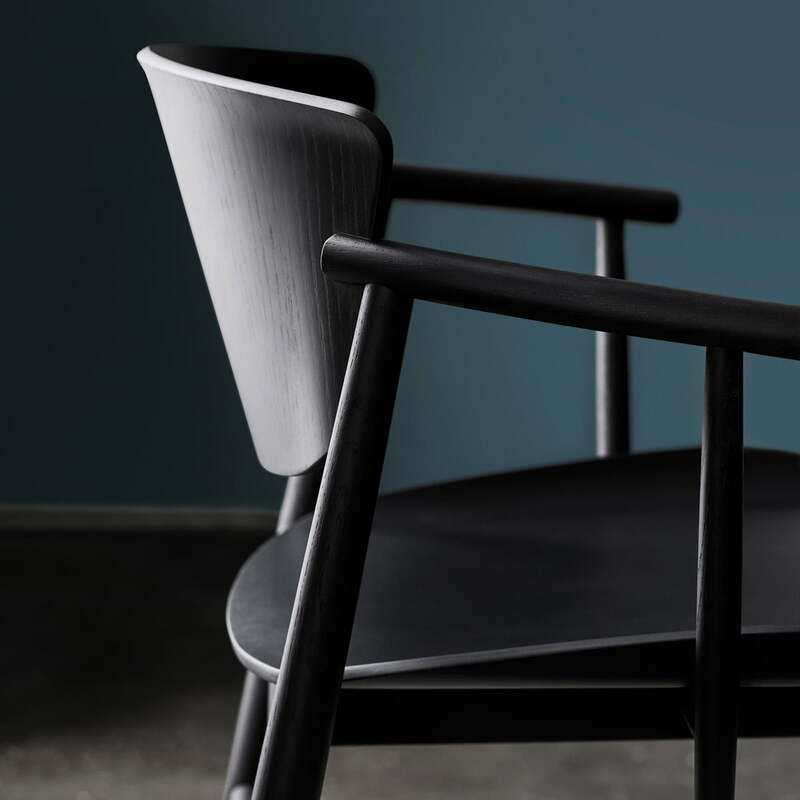 Together with the arms, maximum comfort is guaranteed. 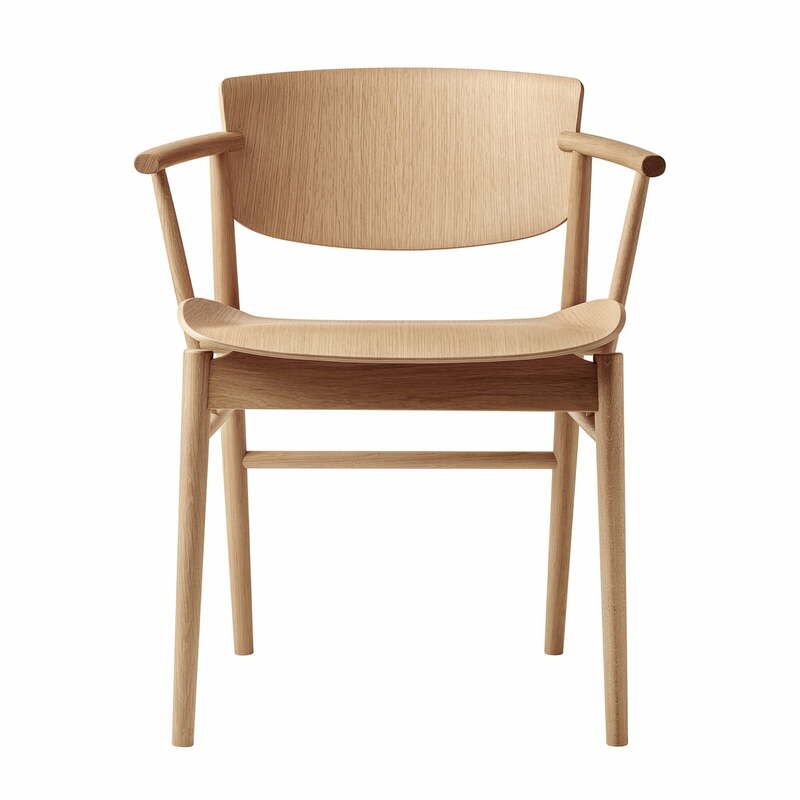 The elegant frame of the chair, however, is intricately designed and made from solid wood. 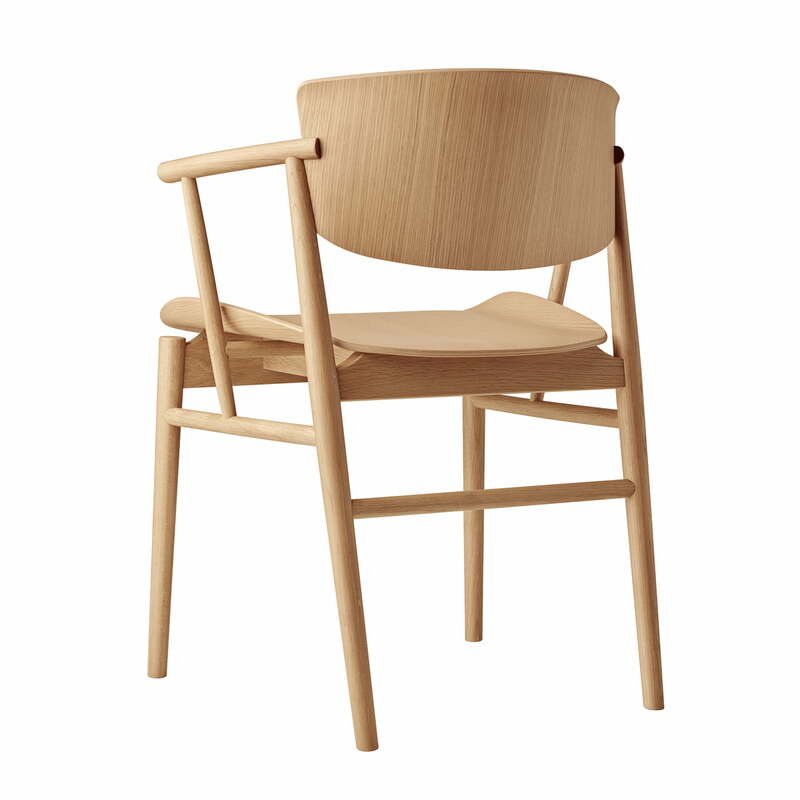 The entire chair consists of 23 wood components, which are carefully assembled by hand like a puzzle. Precise accuracy is needed here to be able to offer a quality product. 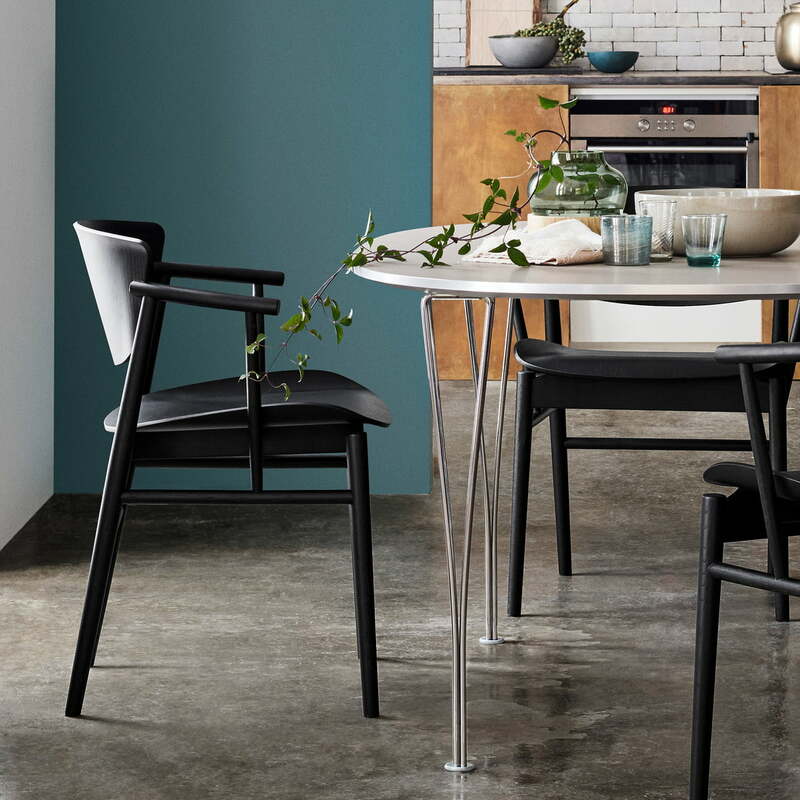 The individual parts are manufactured in a Belgian family business founded in 1924, which creates a symbolic connection to the former carpenter Fritz Hansen. 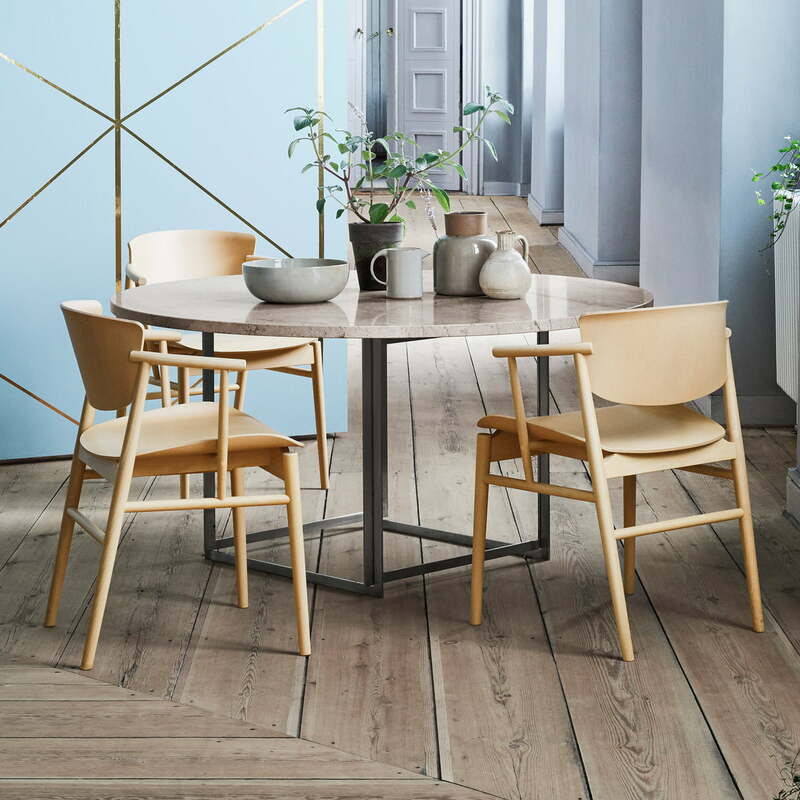 With the stackable wooden chair, Fritz Hansen combines functionality and aesthetics as well as industrial production and traditional craftsmanship to create a piece of furniture that is characterised by its exceptional quality and extraordinary comfort. 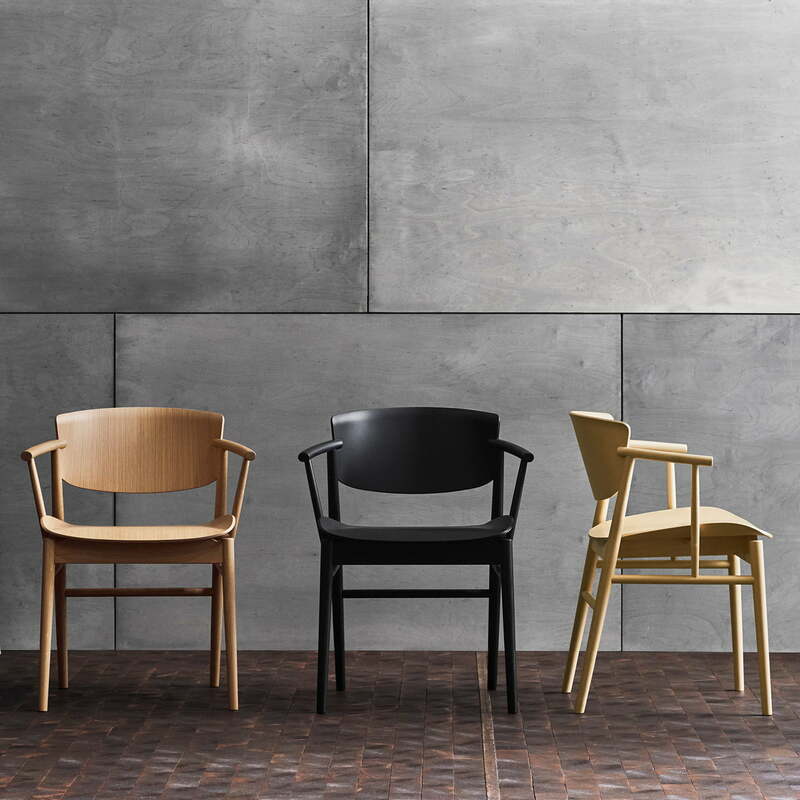 The N01 armchair is available in differently treated types of wood. The matching seat cushion is available on demand. 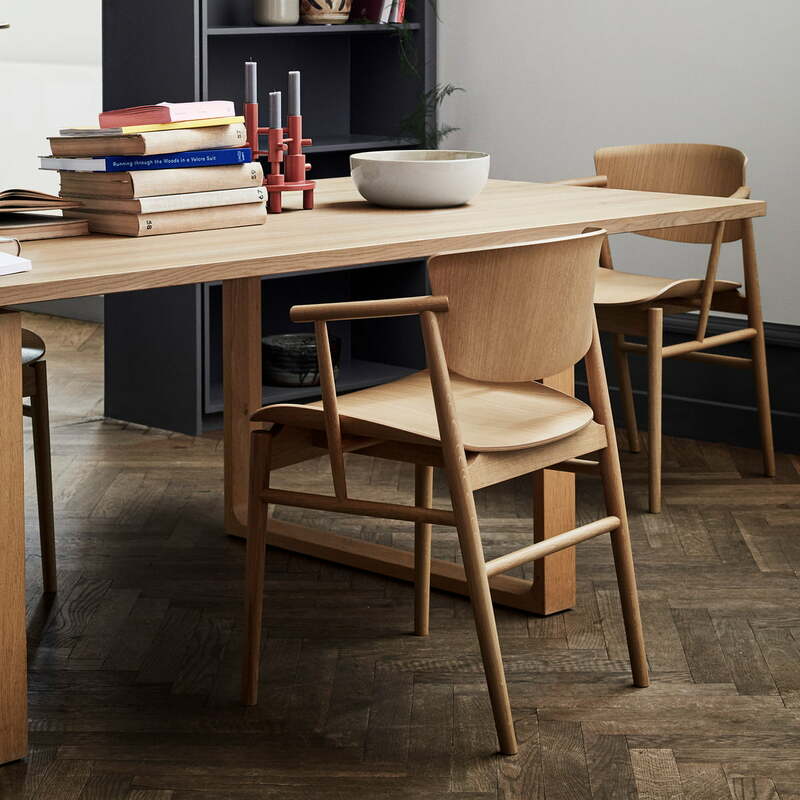 Lifestyle product image of the Fritz Hansen - N01 armchair in beech at the dining table. 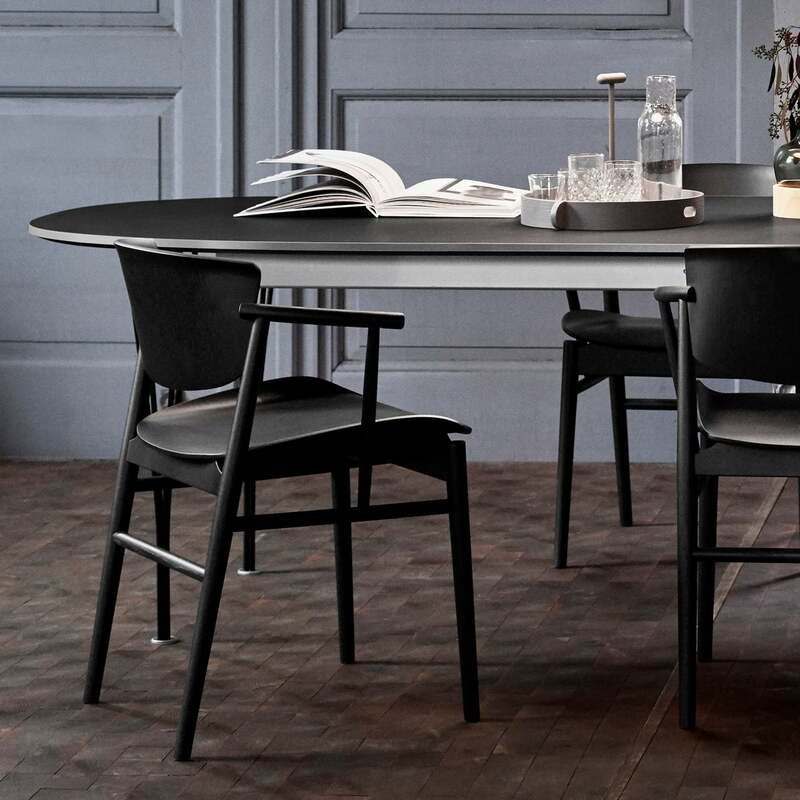 Placed together at the dining table, the N01 armchair provides natural warmth due to its wood production.